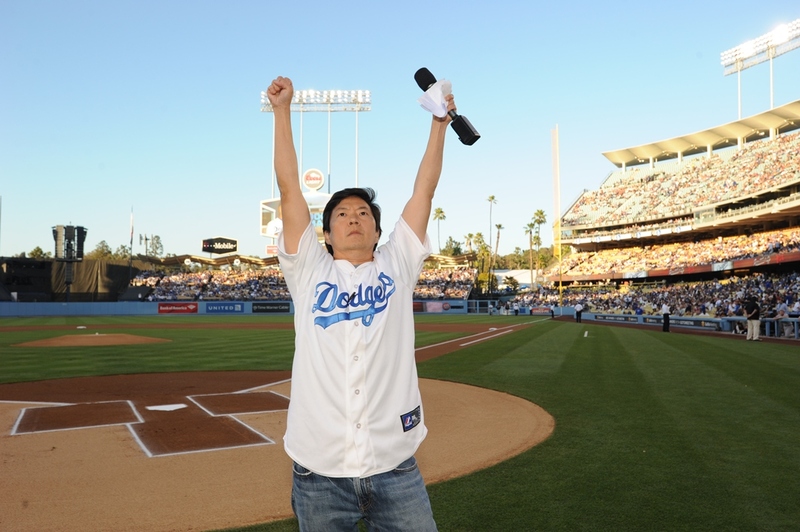 'Community's Ken Jeong To Star In His Own Show, But How Did He Even Become Famous In The First Place? Dr. Ken Jeong, at your service. Yeah, that's right — Jeong definitely used to be a full-time physician. The secret comedy life of Dr. Jeong. According to an interview with NPR, Jeong would let off some steam after a long day of medical work by performing comedy sets on various stages. His big break: Knocked Up. His second big break: The Hangover. Who could ever forget Mr. Chow? "That changed my life overnight," Jeong says in his interview with NPR. "It changed everything for me. ... I always say Knocked Up opened the doors and The Hangover just burst it wide open." Since The Hangover, Jeong has pretty much become a staple in the Hollywood circle. From playing his insane Community alter-ego to voicing endless animated characters to his long-list of upcoming roles, Jeong has proven that he's not going anywhere anytime soon.